As dead marine life continues to clog area beaches and canals, and beachgoers choke from respiratory irritation caused by red tide, late last week Governor Rick Scott directed the Florida Fish and Wildlife Conservation Commission and the Florida Department of Environmental Protection to “mobilize all available resources to address the problem.” The persistent bloom of red tide algae, which stretches from Naples to Tampa, has left countless dead fish, including massive goliath grouper, on area beaches. And record numbers of sea turtles are turning up dead, as well as manatees and even dolphin. For the first part of today’s show we’re joined by Dr. Michael Crosby, he’s President and CEO of Mote Marine Laboratory in Sarasota. 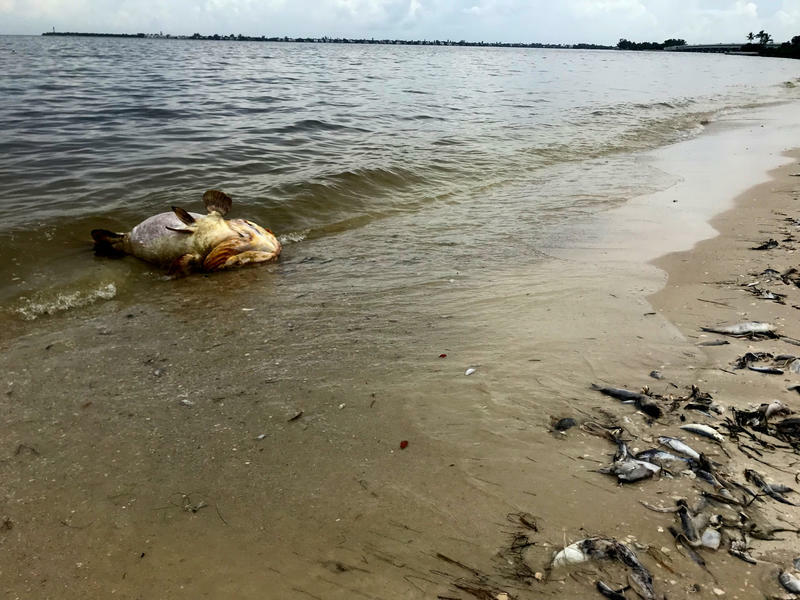 It’s one of the main research organizations working to find answers when it comes to red tide -- from detailed monitoring efforts, to research projects looking for ways to stem the growth of the toxic algae blooms, and mitigate their effects. Plus, we're checking in with Dr. Heather Barron, she's Hospital Director at CROW on Sanibel Island to get the latest on how red tide is affecting sea turtles. 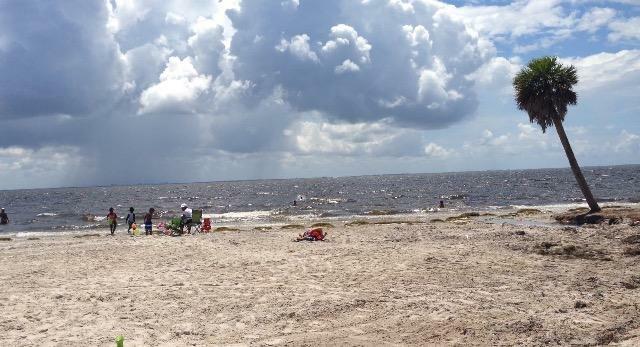 The U.S. Army Corps of Engineers announced they are suspending releases of water from Lake Okeechobee as of Sunday evening. 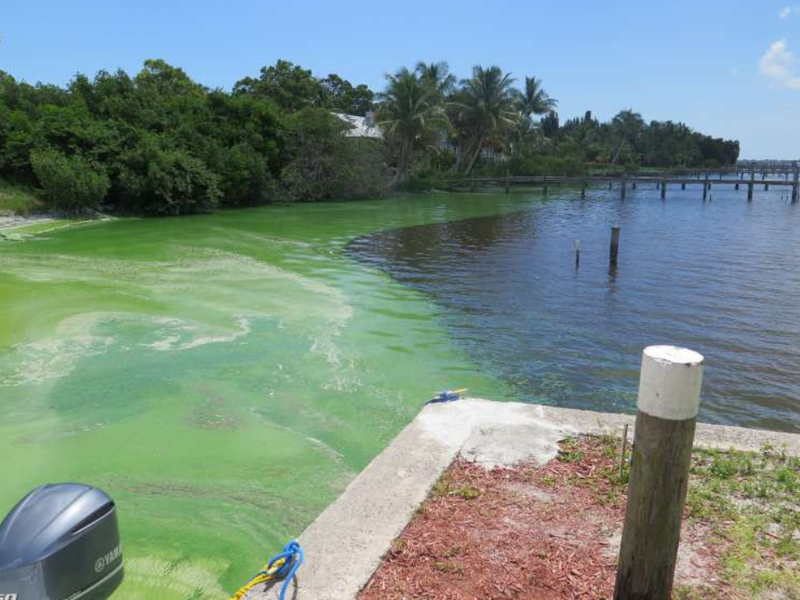 Nutrient-laden water coming from the lake is blamed for a toxic blue-green algae bloom that's been moving down the Caloosahatchee River and impacting Lee County waters for about the past two weeks. 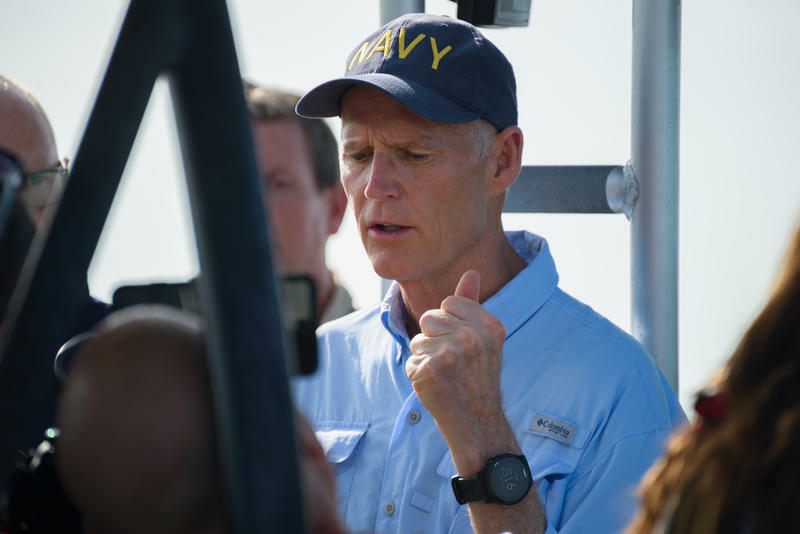 Governor Rick Scott toured the Caloosahatchee River this morning to see impacts of the toxic bloom first-hand, and said afterwards he would be declaring a state of emergency. We’re sitting down with WGCU’s Rachel Iacovone to find out more about this visit.